This is the most exciting experience for truffle enthusiasts. A hunter accompanied by his dog will lead you through the woods in search of these precious underground mushrooms, guided only by the animal's instincts and the intuition gained through years of experience. 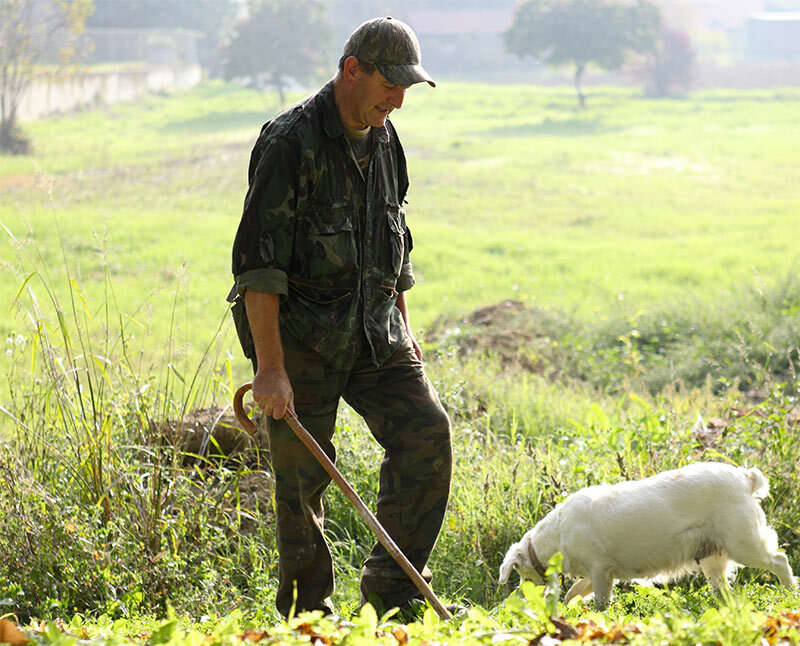 The search will be accompanied by an expert who will provide essential information to help you understand where and why truffles grow. Afterwards, if your search was successful and luck was on your side, you can dine in our restaurant with a menu designed especially for you - and grate your truffles as you enjoy a good bottle of wine! Festival of the "Fat Ox"